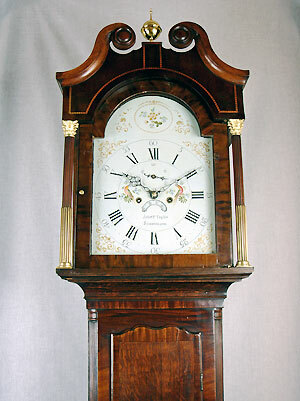 This is an oak and mahogany crossbanded longcase clock made by Arlot and Taylor, Sunderland, falseplate signed Osborne Manufactory Birmingham. The mahogany veneered hood has chequered stringing to the swan-necked pediment over freestanding stop-fluted columns with Corinthian capitals. 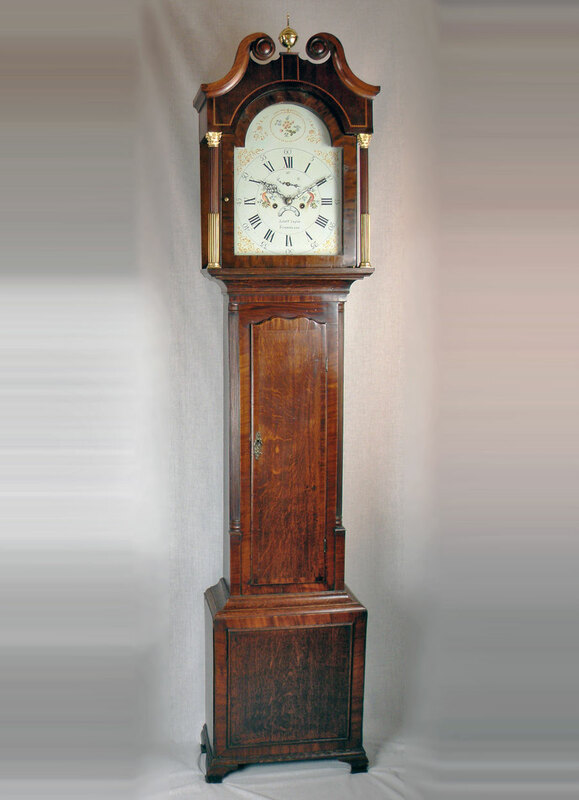 The clock trunk has reeded quarter columns and a panelled base standing on ogee bracket feet. The 13 inch break-arched painted dial has gilt gesso spandrels, subsidiary seconds and a recessed calendar aperture. The weight-driven bell striking movement has an anchor escapement and rack striking.